Normally, Olivia spends all year looking forward to her family's summer vacation in Florida. But not this year. Not when her parents have recently separated, and her father has to stay behind in Colorado. Olivia doesn't know what she'll do all summer without him. They've always been a pair, and she's never felt the same bond with her mother or younger sister. So Olivia plans to spend the summer laying low, and trying to ignore the hurt gnawing at her heart. 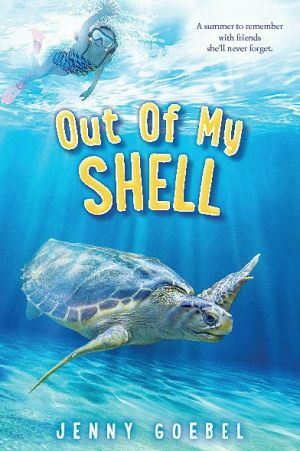 But when she learns that the local sea turtle population is in serious risk of dying off because of her neighbor's poorly designed house, she knows she has to do something. She can't just watch the beautiful creatures suffer. Yet her chances of helping the turtles are slim, and she can't handle any more heartbreak. Will Olivia turn her back on her favorite animal to avoid the pain? Or will she find the courage to stand up for the turtles, and maybe heal herself in the process?